This pattern is available for FREE on my blog. The downloadable PDF listed for sale contains the full pattern, in one printable file without advertisements. 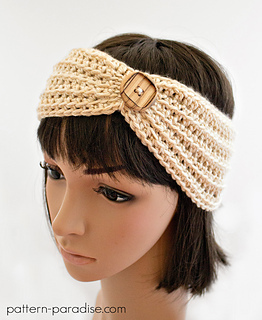 A stylish headband that works up quickly! The width can easily be adjusted to wear it as a cute hair accessory, or make it wider to keep your ears warm on a chilly day.